Education is an important part of what we do and we’re excited to tell our customers about a new product category called stone plastic composite (SPC), which is a type of rigid core flooring. It’s a combination of resins and minerals fused into a single layer. 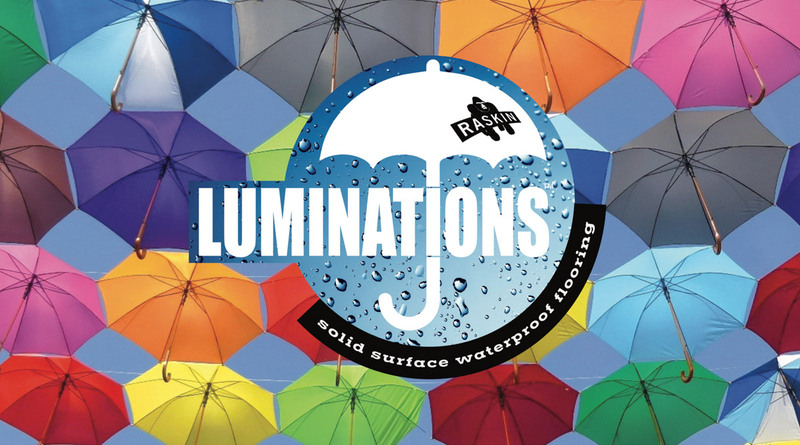 The brand of SPC we’ve chosen to carry is Luminations by Raskin Industries. It offers a high-style wood look in high-demand colors, with extreme durability. Because it is waterproof and won’t cup or warp with temperature changes, it’s a good choice for many types of residential and commercial installations. The manufacturer says that Luminations is 50 percent more dense than other flooring, and has 10 times the impact resistance. Contractors and architectural specifiers can confidently recommend Luminations for use in high-traffic areas. Luminations is an interlocking glueless floating floor, requiring minimal subfloor preparation and just a few tools for installation. Contact us to learn more about the Suprema Versa collection of Luminations.